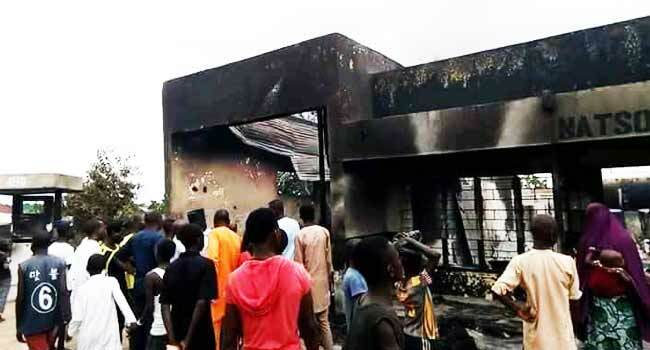 The Nasarawa State government says it has launched an investigation into a gas explosion that led to the death of several persons on Monday. 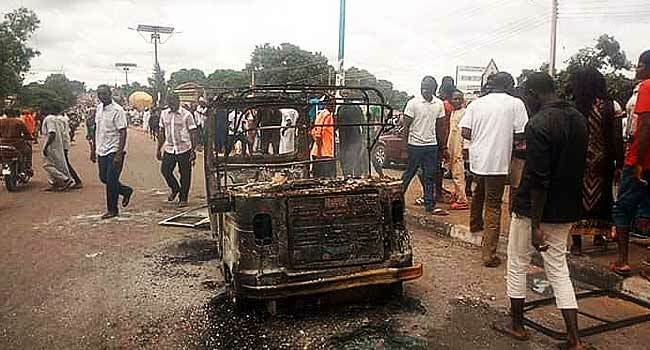 Deputy Governor of the state, Mr Silas Agara, made this known when he visited the scene of the incident which left many others injured in Lafia, the state capital. “It is unfortunate, we have never had this kind of situation in Lafia,” he lamented. “This is the first fire outbreak affecting a major filling station with this magnitude. Mr Agara thanked the emergency officials and the security operatives who rushed to the scene to ensure that the situation was brought under control. The gas explosion occurred close to a fuel station situated directly opposite another station along the Lafia-Abuja Road. The fire broke out after an attempt by the vendors to refill their gas cylinders from tanks failed and resulted into a leakage. 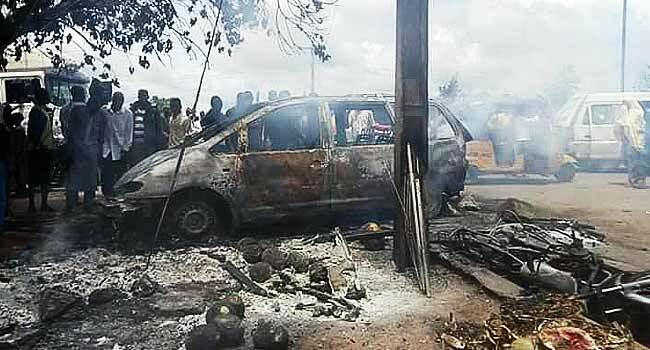 The Executive Secretary of Nasarawa State Emergency Management Agency (NASEMA), Zachariah Alumaga, also said the explosion has been contained. According to him, it will be improper for any person to ascertain the extent of casualties and damage until the investigation is completed. Meanwhile, the Deputy Director of the Fire Prevention Department, Nasararwa State Fire Service, Mr Danjuma Bisalla, revealed that the agency was tipped earlier by the vendors. He, however, stressed that efforts by the emergency officials to avert the incident were unsuccessful. Bisalla said, “We were here when the fire has not even ignited yet because they called us, and we were here trying to control the traffic as there was already a leakage and any little heat will ignite it. Some of the eyewitnesses whose businesses were located close to the scene of the explosion also gave their account. One of them, Aliyu Abdullahi, said that most of the victims were onlookers who had refused to leave the scene despite warning them. Another witness, Michael Ogbonnaya, faulted the location of the gas plant.